! !BUILT IN THE USA!! NEW AGXGOLF MAGNUM XS EDITION #5 FAIRWAY WOOD FREE HEAD COVER!! WOMAN'S LEFT..
! !BUILT IN THE USA!! 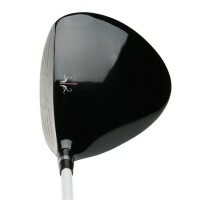 NEW AGXGOLF MAGNUM XS EDITION #11 FAIRWAY WOOD (30° LOFT) AND 13 FAIRWAY WOOD..
! !BUILT IN THE USA!! NEW AGXGOLF MAGNUM XS EDITION #11 FAIRWAY WOOD (30° LOFT) - FREE HEAD COVE..
! !BUILT IN THE USA!! NEW AGXGOLF MAGNUM XS EDITION #13 FAIRWAY WOOD (34° LOFT) - FREE HEAD COVE..
NEW AGXGOLF MAGNUM XS EDITION #3 FAIRWAY WOOD: WOMAN'S LEFT or RIGHT HAND! THI..
AGXGOLF MEN'S 11.0 or 13 DEGREE DRIVING / UTILITY WOOD: LEFT or RIGHT HAND: GRAPHITE w/CHOICE OF FLEX & LENGTH + HEAD COVER BUILT IN USA! NEW FROM AGXGOLF; "TRISTAR 11.0 or 13.0 DEGREE DRIVING WOOD / UTILITY WOOD": FREE HEAD COVER!!! GRAP..